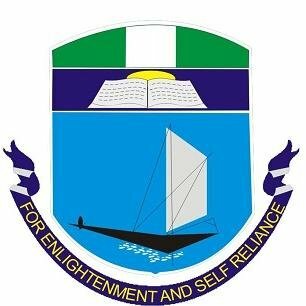 University of Port Harcourt (UNIPORT), College of Continuing Education (CCE), Part-Time Degree Programmes Admission Form, Requirements, Method of Application for 2018/2019 Academic Session. Applications are invited from suitably qualified candidates for admission into the University of Port Harcourt (UNIPORT), College of Continuing Education (CCE), Part-Time Degree Programmes for the 2018/2019 academic session. Applicants who posses A/Level GCE or Diploma from recognized institutions may be admitted through the Direct Entry mode. Latest Update: UNIPORT Part-Time Degree Admission List is Out 2018/2019. B.Sc. Degree Programmes in Accounting, Finance and Banking, Management, Marketing and Hospitality Management & Tourism. Holders of WAEC/SSCE, GCE ‘O’ Level or their equivalent with credit passes in five (5) relevant subjects,(including English and Mathematics) are eligible to apply. Holders of A/Level, NCE/Diploma with credit in the relevant subjects from recognized institutions in addition to five credit passes in WAEC/SSCE, NECO, GCE “O”Level or their equivalent at not more than two sittings may apply for the Direct Entry Programme in any of the courses listed below. Candidates must have five (5) credit passes which must include; English Language, History or Government and any other three subjects from: Literature in English, CRK/IRK, Economics, Mathematics, Biology, Chemistry Physics, Agric. Science, a Nigerian Language: Igbo, Hausa or Yoruba, Fine Art, Geography and Commerce. Candidates must have five (5) credit passes, which must include English Language, Government or History, Economics and any other two subjects from: Geography, Commerce, Literature in English, Biology, Physics, Chemistry, Agric. Science and Mathematics or, at least, a pass in Mathematics; if Mathematics is not inclusive of the five credit passes. Candidates must have five (5) credit passes, which must include: English Language, Mathematics, Economics and any other two from Government/History, Geography, Commerce, Literature in English, CRK/IRK, Science subject: Chemistry, Physics, Biology or Agricultural Science. Candidates must have five (5) credit passes, which must include: English Language, Mathematics, Economics, and any other two from Government/History, Geography, Commerce, Accounting/Finance/ Business, Literature in English, C.R.K/I.R.K., Science Subject- Chemistry, Physics, Biology or Agric Science. Under the CCE menu click on, Part- Time or Diploma in Law form. After submitting the form, an invoice page is displayed. Click on the Get RRR button. Next an RRR code is displayed. Please print this page and proceed to payment of the application fee of Fifteen Thousand Naira (N15,000.00) only excluding Bank charges at designated Banks nationwide. Please present the printed invoice to the bank teller. For payment verification, please select the Fees Verification link under the CCE menu and enter the Payee Id from your printed invoice and select the category of fee you paid for. If your payment is verified, you will be asked to upload your passport. Please do so and click on Upload button. Finally print the receipt displayed on the screen. Candidates should report to the Examinations and Records Unit, CCE, Nkpolu-Oroworukwo, with photocopies of their credentials and payment receipt for collection of Brochure. For further information contact: Phone: 08038279561 or 08035508754 (between 9.00 a.m. and 3 p.m. on week days only). CLOSING DATE: The sale of Forms will close on Friday, 26th October, 2018.